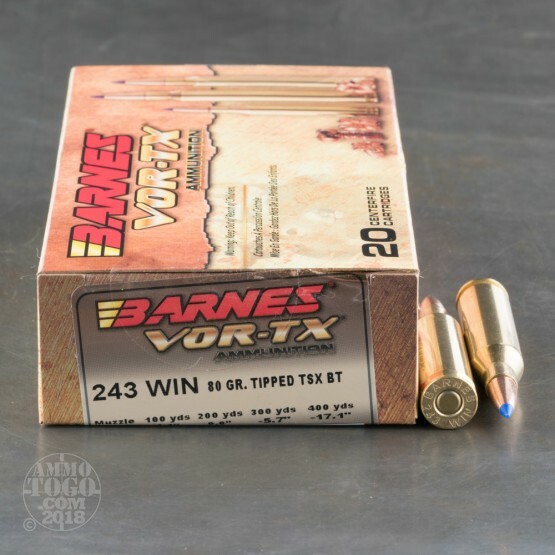 This 243 Win cartridge is from Barnes’ VOR-TX line of ammunition, and accordingly features its Utahn manufacturer’s Tipped Triple Shock X (TTSX) projectile. Like the original TSX, the TTSX is made entirely of copper, so it’s perfect to take hunting in The Golden State. 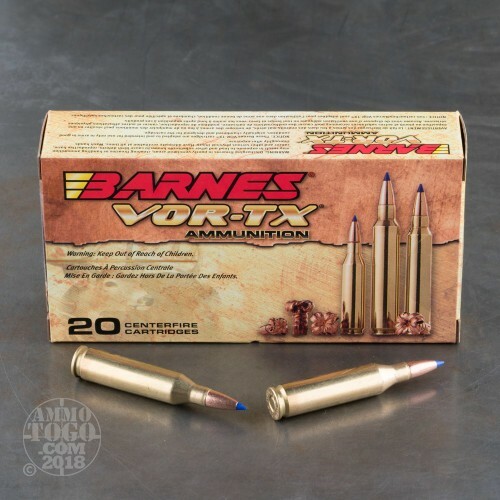 This bullet’s monolithic construction further greatly reduces the amount of fouling it leaves behind in a rifle’s bore, and also causes practically perfect weight retention as it penetrates and expands within a target. 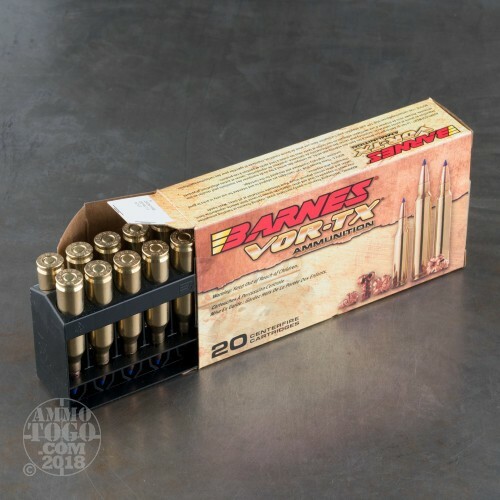 This bullet has got a polymer tip which heightens its accuracy and initiates instantaneous expansion on impact. As it mushrooms up to double its original diameter the TTSX produces multiple sharp petals which shred flesh and smash through bones, making it one of the last words in hunting. 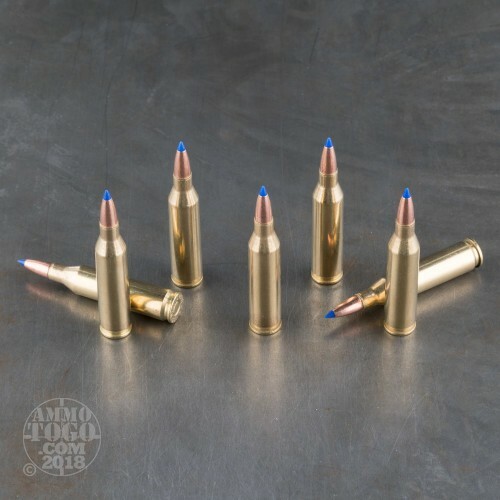 This bullet is also very accurate thanks to its boat tail design, which raises its ballistic coefficient to give it a flatter trajectory, better resistance against crosswinds, and greater retained downrange velocity.